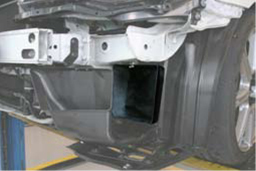 The opening area of the air intake has been enlarged in order to improve the induction efficiency. 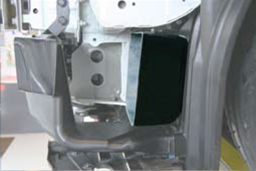 The standard resonator box has been removed so that the full effect of the RAM pressure can be utilized. To cope with the increased air volume the filter is replaced with K&N filter. 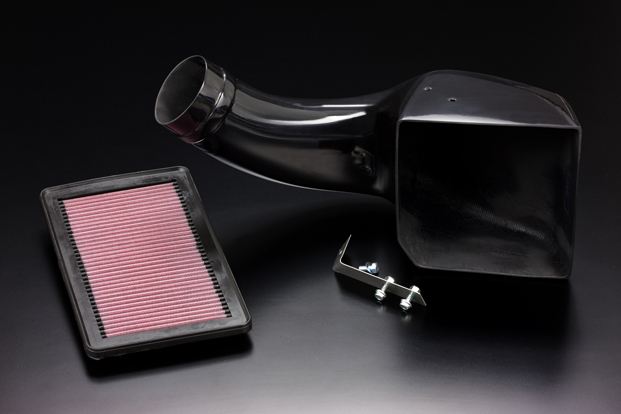 Compared to the standard intake system, TODA Racing's High Flow Intake KIT flows 16% more air (Based on TODA Racing's flow bench results without RAM air pressure effect). Improving induction efficiency as well as drawing in colder air and shortening of the induction system have the combined effect of giving a more direct, responsive feel to the engine.